We selected a range of products to enhance the training experience and improve mechanical skills. This list will extend over time. We work with the best, most innovative and creative designers to build special training devices that aid the communication process and improve overall performance levels. Simon co-authored this book on the power of operant conditioning in animal training. This book should be in every trainer’s library. 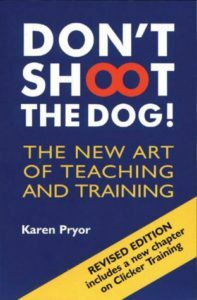 It’s a clear, overall view on animal training which also speaks to human rules of communication and engagement. Make sure your K9 investigation work holds up in court. Based on Resi and Ruud’s previous book, K9 Fraud, with updated content and a new chapter.